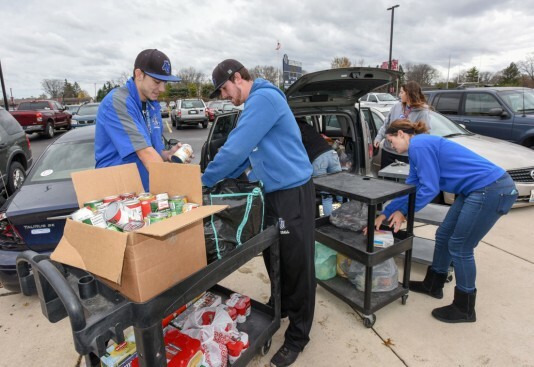 A commitment to community service and helping others has always been an integral part of the Aurora University identity. We create an environment where learning happens on all corners of campus and we foster connections between the classroom, community and playing field. A strong tradition of excellence both on and off the playing field defines the Aurora University student-athlete experience. Character, integrity and civility are as important as game-winning baskets and goals. At the core of the AU athletic experience is the health and welfare of every student-athlete. 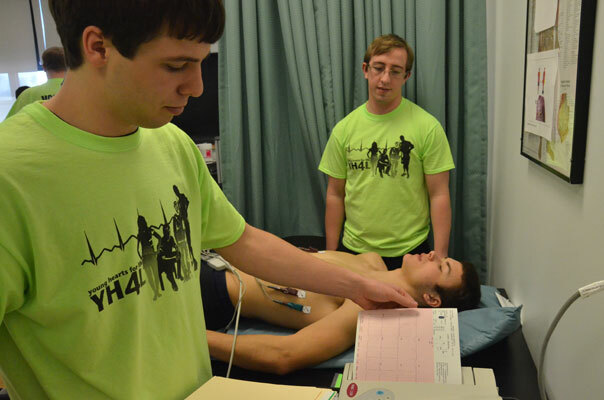 The Department of Health and Human Performance, Wellness Center and Athletics Department kicked off American Hart Month last week by offering “Young Hearts for Life” electrocardiogram (ECG) screenings to AU student-athletes. The screenings test for problems with the electrical activity of the heart. The Spartan athletic teams are well into the 2015-2015 season and demonstrating that practice and dedication yield strong results on the field.